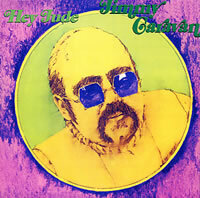 A number of musicians have played on various Beefheart albums but have not necessarily been members of the Magic Band. They have been session players brought in to provide a particular instrument or sound. Here’s a brief list of who they were, what Beefheart albums they contributed to and other albums they may have released. A trio of female backing vocalists for hire who seem to have been busy doing session work during the 1970s, often 2 or 3 sesions a day. The mainstay of the group was former Ikette Venetta Fields. A number of other girls were in the group over the years but at the time of the ‘Clear Spot’ recording the likely line-up was Venetta Fields, Billie Barnum and Clydie King (who was once with the Brothers & Sisters of Los Angeles whose album Gene Pello – see below – performed on). I haven’t been able to find a discography for them but they were on the 1971 album ‘L.A. Getaway’ by Joel Scott Hill, Chris Ethridge and Johnny Barbata. During 1972/73 they were backing singers for Humble Pie and then Pink Floyd on tour. At some point The Blackberries broke up and Venetta Fields relocated to Australia during the 1980s where she did some backing vocals for Australian musician John Farnham, and for Barbra Streisand when she toured there. A regular session musician whose speciality was the Hammond organ with a style similar to Jimmy McGriff. Over the years he did a lot to promote the careers of many of the great blues and R&B artists he considered were being ignored and forgotten by booking them into clubs around his home patch of Orange County. During the 80s he gigged with his own band, The Blues Caravan, but his musical career began to stall when he was diagnosed with diabetes. He battled the disease for several years, even setting up the Diabetic Educational Foundatiion to help other victims, before taking his own life in 1990 aged 49. He has released some instrumental albums under his own name. Originally from New Zealand Clark was in several bands there and in Australia during the 60s – the Silhouettes and The Executives being two of them. He became a well known pop star there for a while. His band went to Los Angeles to record an album but broke up instead and returned to Australia. Born in 1904 Hoffman was a violinist who performed popular music under the name of Hal Hope. He trained as a chiropodist but kept up his musical life. He led his own bands – in 1936 he had one called Hal Hope’s Electronic Trio. In the early 30s Hoffman was offered a theremin in lieu of a debt which he accepted as he was intrigued by the machine. He went on to be one of the most celebrated theremin players of his day. 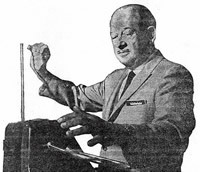 He moved from New York to Hollywood and provided the theremin soundtrack to Hitchcock’s film ‘Spellbound’ which set him up with a steady stream of film and television work. He died in 1968. He did quite a bit of recording during his career but only released a few albums – these sound rather tame nowadays but fascinating stuff none the less. These have been released in a lavish 3 CD box set, although be warned there is only 54 minutes of music! Session percussionist (but not a drummer) and vibes player. Was a member of Loggins & Messina band throughout the early and mid 70s but continued with session work. Played on most of Ry Cooder’s 1970’s albums as well albums by Art Garfunkel, Little Feat, Loggins & Messina, Joni Mitchell, The Monkees, Poco, Martha Reeves, Ringo Starr, and James Taylor. Composer, producer, engineer and musician (guitar, bass, mandolin, keyboards, percussion) and brother of Magic Band member Elliot Ingber (Winged Eel Fingerling). Real name: Henry St Claire Fredericks. As a member of The Rising Sons with Ry Cooder and Gary Marker, how Taj became involved with the Beefheart album is fairly obvious. He has been a very successful blues and roots musician in his own right over four decades and still going strong. A complete discography is available at the Taj Blues website although no mention is made of his involvement with Safe As Milk. He has about 40 songs listed on BMI. One of these, written with Jack Nitzsche, Gone Dead Train sung by Randy Newman, appeared in the film ‘Performance’ (which also, coincidentally, included several tracks with great slide from Ry Cooder on the soundtrack). Originally known as Eugene Pellicci, Gene Pello attended the same Santa Monica high school and played in some teenage bands with Gary Marker. As an established session musician he has played with The Jackson Five, Michael Jackson, The Monkees, The Ventures, The Brothers and Sisters of Los Angeles (gospel covers of Dylan songs), Diana Ross, The Marketts, Smokey Robinson, Lou Rawls and Screaming Jay Hawkins to name but a few. Another session musician. Has jazz leanings but has appeared on albums by Dr John (Gris Gris), Merry Clayton (who sang with one line-up of The Blackberries), The Monkees, Frank Zappa (Lumpy Gravy), Sonny and Cher, and Buffalo Springfield.